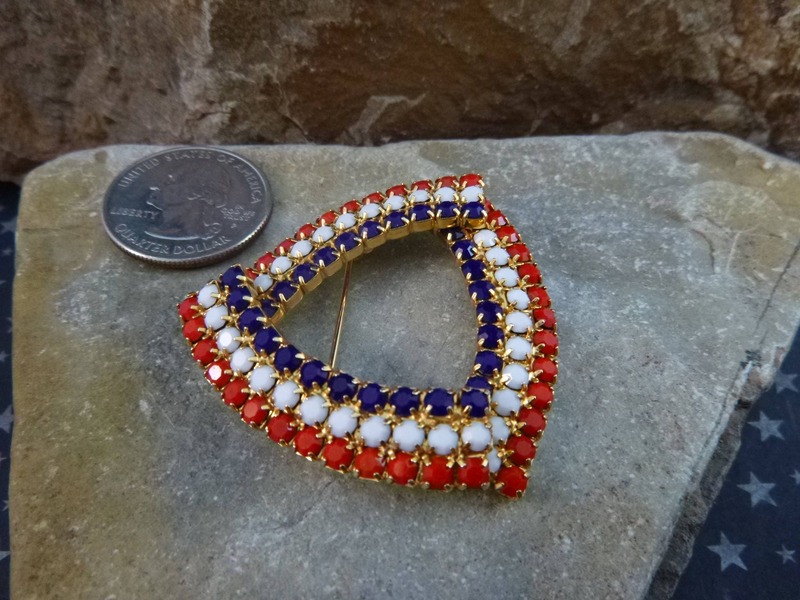 I found this red, white, and blue patriotic brooch while vintage shopping at a large antique mall outside of Denver. 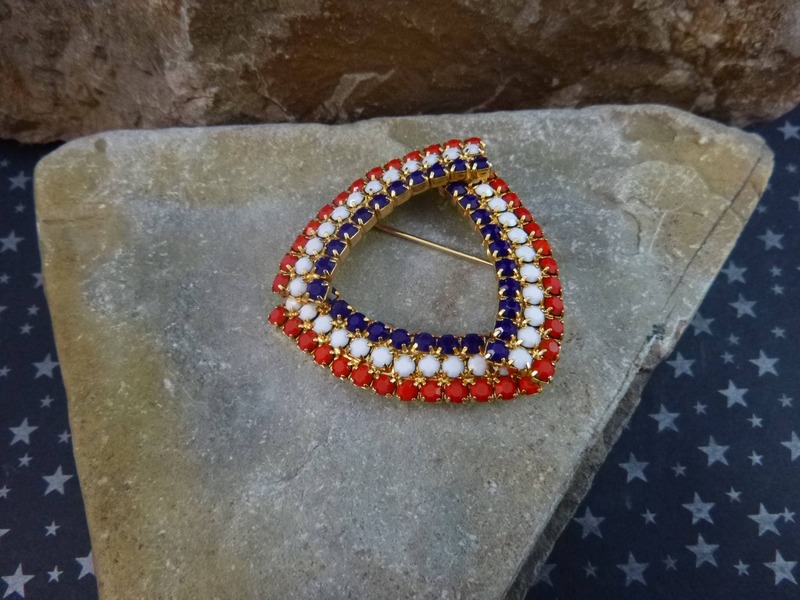 I was drawn to it for its theme, sparkle, and timeless nature. 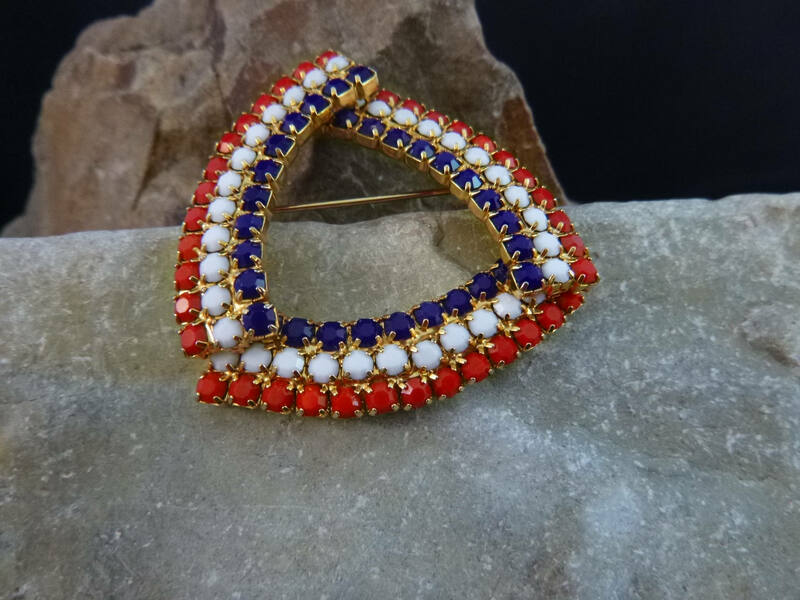 Likely from the l970s, around the time of the l976 bicentennial, the brooch is very good to excellent vintage condition with few signs of wear. 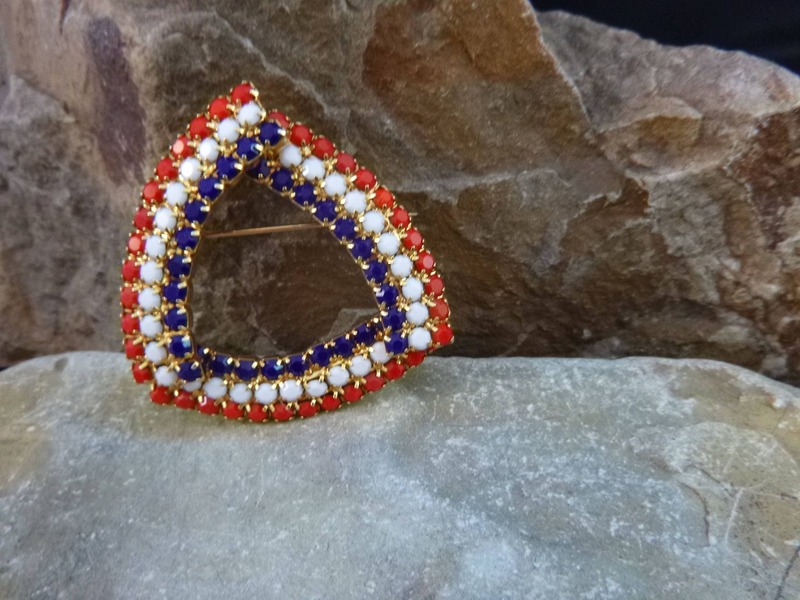 The gold tone metal and faceted, prong set glass stones are bright; the pin and clasp work well. 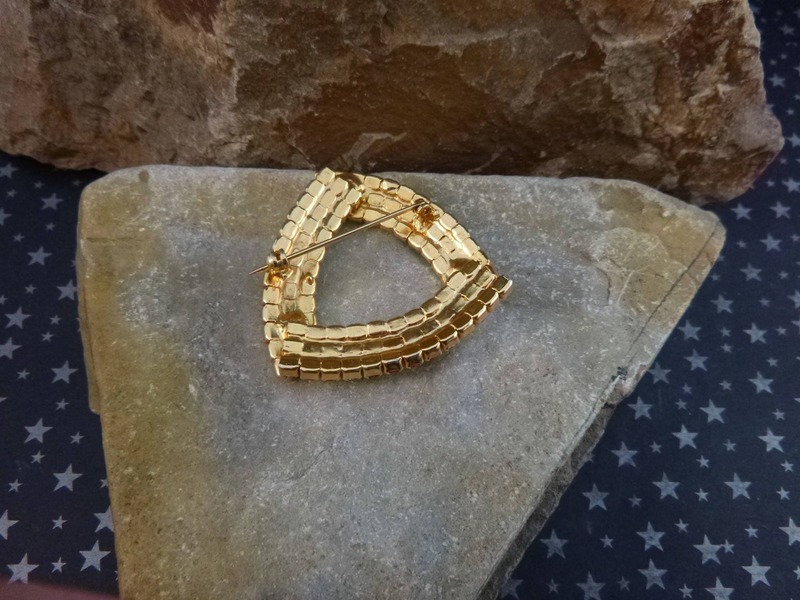 The pin itself extends beyond the clasp, as is more common in older pieces. 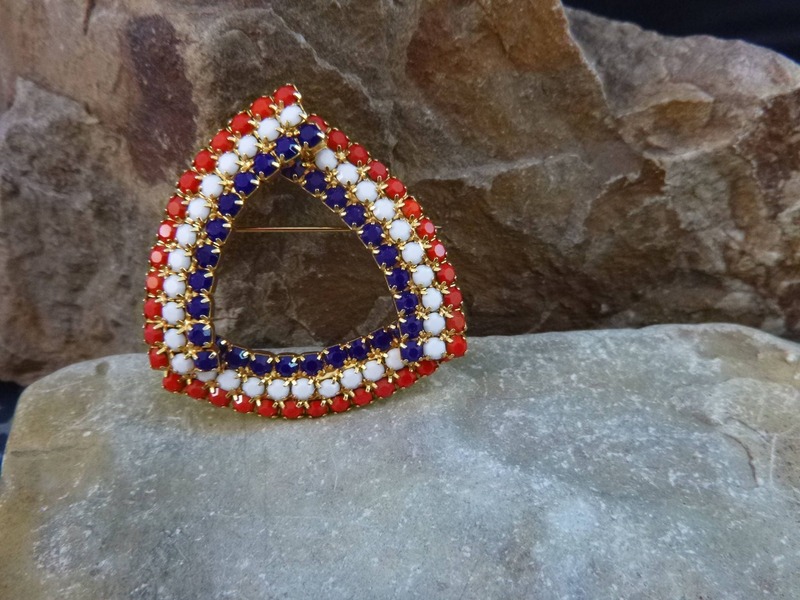 Measuring 1.75” in each direction, this triangle shaped brooch is perfect whether you love July 4 celebrations, honoring our country on patriotic holidays and events, or simply enjoy the red, white, and blue styling. 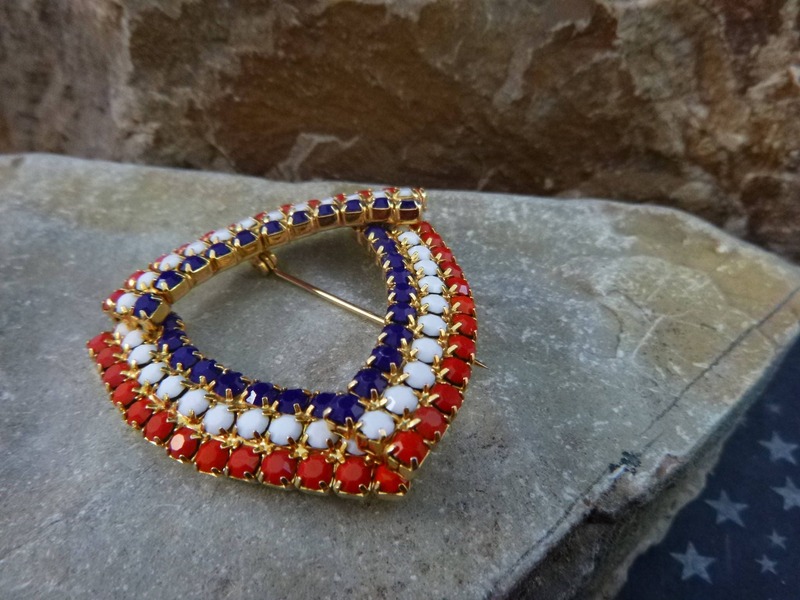 The pictures offer greater perspective on the vintage condition and patriotic design.